We know that exercise makes us healthier and happier. But what kind of exercise is the best at increasing happiness—giving us better moods and reducing moments (or days) of feeling down? Researchers at Yale have found out. In the largest study ever to look at the association between exercise and mental health, they analyzed data on 1.2 million Americans. Overall, they found that people who exercise three to five times a week for an average of 45 minutes each time had 43% fewer “bad” days than people who didn’t exercise. And that was true across the board regardless of age, gender, race or income. Researchers also pinpointed the specific types of exercise that made people happiest. In order of benefit, they were team sports…cycling…and, options available to everyone, aerobic and gym exercises, such as classes and strength-training. While mindful exercises such as yoga and tai chi also led to fewer bad days, more vigorous types of exercise had the strongest effect. Interestingly, more isn’t better. For people who exercised for longer than 90 minutes at a time or more than 23 times a month, the number of bad days went back up. Some people get a mood lift from engaging with teammates, while others like to work out on their own. Whatever your exercise personality, you have many choices to get a happiness boost. Team sports. 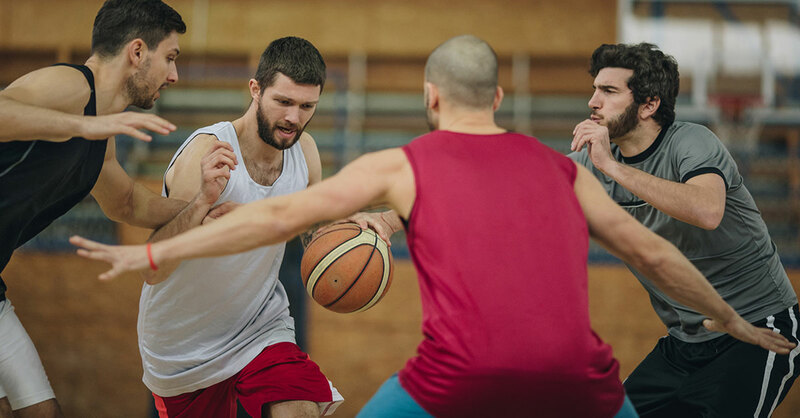 Even if it’s been awhile since you participated in a group sport, there are many ways to get involved with an adult basketball, soccer, softball, kickball, pickleball or touch football team. Check out your local Y, community recreation department and local leagues you can find through a Google search. Cycling. Besides just dusting off your bike and going for a solo spin, you might join a cycling club in your area by going to Meetup.com or through USA Cycling. Lots of clubs have rides for people who are just getting back on the saddle. Aerobics and gym activities. Weight training and cardio classes are great, but also think beyond the standards—consider an outdoor “boot camp”—a two or three-day fitness intensive, a kettle bell workout, adult dance classes…or online virtual “classes” that lead you through challenging workouts while you watch exotic backdrops on a monitor. If these activities sound too strenuous for a jumping off point, know that in the study at Yale, every type of exercise had some positive impact on mental health. Get started with something—even just walking at an increasingly brisk pace—and you may soon find that signing up for a local team league or climbing back on a bicycle sounds like a logical and fun next step.